Great Pricing Available On Loam & Compost! We carry quality 1/2 inch screened loam which is great for lawns, enriched loam for top dressing, and even straight compost to enrich existing garden soil. If your project requires a lot of loam or compost, call us today to order in bulk. At Echobrook Nursery, we accept bulk orders for pickup or delivery for a variety of loam & compost types, as listed below. Our team is ready to help get your landscape looking great again so give us a call at (508) 791-5939 and let’s get started! 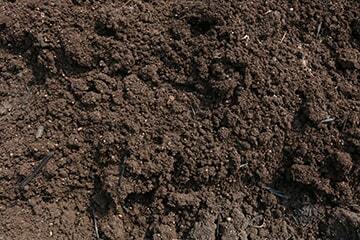 Vegetable Mix: a blend of composted top soil and manure, this mix is ideal for your veggie garden! Garden Mix: is comprised of compost and top soil. This mix is especially good for flower beds and vegetable gardens. Screened Loam / Top Soil: excellent option when you are installing your lawn or performing general planting in flower gardens. Compost: a mixture of organic matter and aged manure, compost supplies essential nutrients to vegetable and flower gardens and further prepare the soil for planting of trees and shrubs. Contact us today to find out more about our loam and compost services.